This book is for readers who do not know how to start a practice, or for those people who do not have access to teachers. It is especially useful for the multitudes of yoga practitioners who want to meditate but have never received solid instruction in the yoga studio. Using traditional Eastern practices, but aimed at a Western audience, the methods in this book can be utilized on the meditation cushion as well as in daily life when stress and challenges arise. 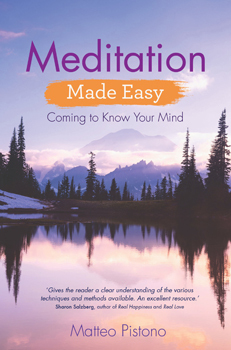 Previously published in the Hay House Basics series (9781781808627 - Meditation).